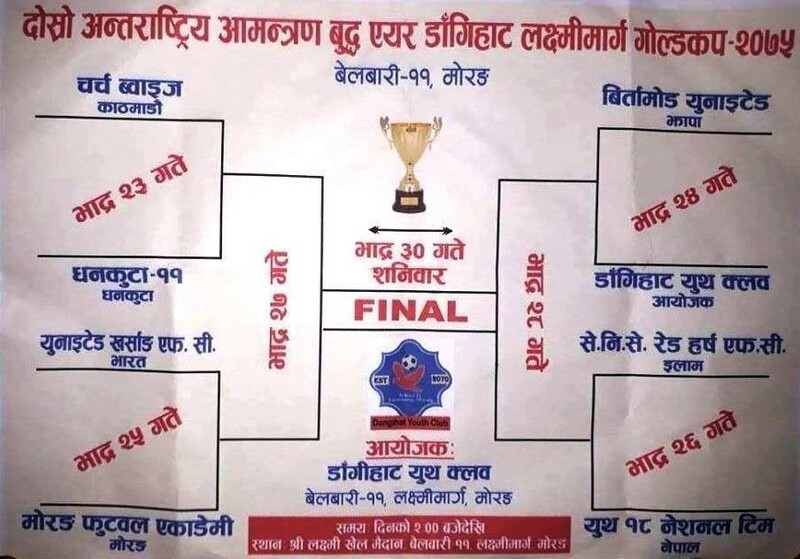 Birtamod United is playing against Red Horse Ilam in 2nd semifinal match of 2nd Buddha Air Dangihat Laxmi Marga gold cup. The match will kick off at 3:30 PM. GoalNepal will broadcast the match LIVE on its channel. Dangihat yuwa club is organizing the championship, which has a winning purse of Rs 2,22,222.